A week after getting our first look at Lenovo’s new smart display, the company officially unveiled the device at CES in Las Vegas. 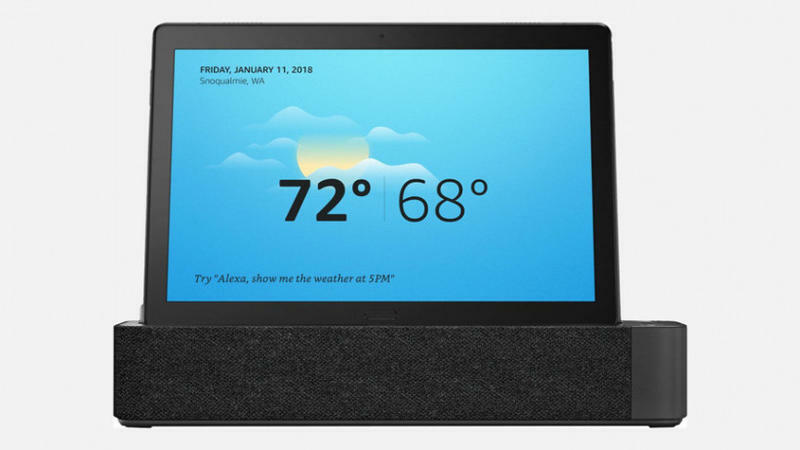 Officially dubbed Smart Tabs, the 10-inch smart display doubles as a tablet when removed from its base station. 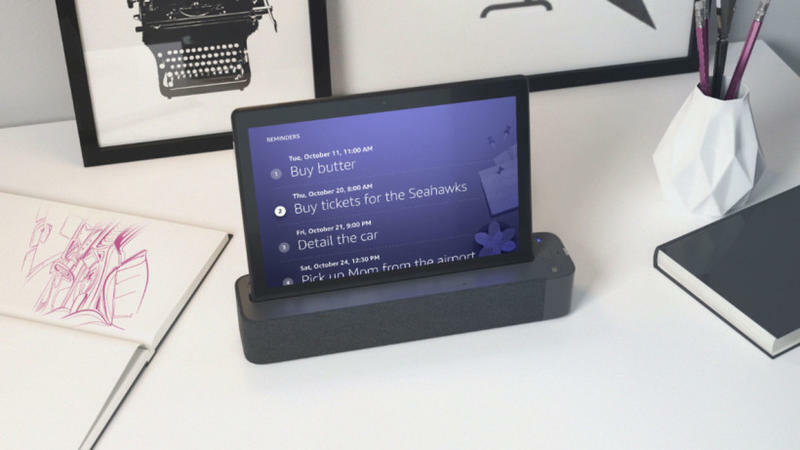 The Smart Tabs runs on Android but has Alexa built-in, making it an odd hybrid. 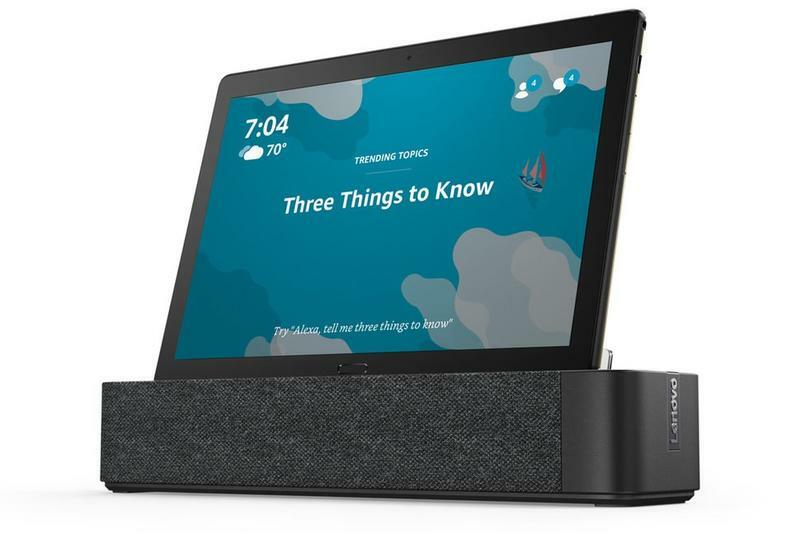 While on the base station, it’ll act like a normal smart display, including shuffling through photo albums, playing music and taking Alexa commands while running in Show Mode. Once detached, it becomes a regular Android tablet. The base station doubles as a charging station and speaker system that delivers the audio playback when in Show Mode. Lenovo will offer two variants, the M10 and P10. Both will be powered by a Snapdragon 450 processor and run on Android Oreo. The M10 will come with 2GB of RAM and 16GB of storage or 3GB of RAM and 32GB of storage. The P10 will up the memory and storage options to 4GB and 64GB, respectively. The M10 will feature a 4,850mAh battery while the P10 upgrades that to a 7,000mAh battery. Additionally, Lenovo threw in Dolby Atmos speakers and front and rear-facing cameras. 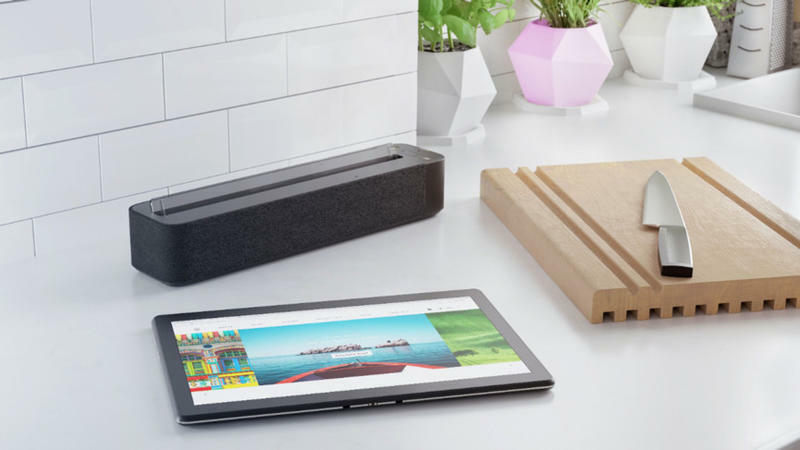 Lenovo says the M10 Smart Tabs will start at $199 and the P10 will cost $299. Both will start shipping later in the month.